Don't You Want To Know The People Working On Your Home And Roads Are Qualified? When you read a story in the news about people being charged with construction fraud, it's not quite as exciting as some of the other news stories that headline the page. The problem is, to some it's only fraud. It doesn't affect them. But the problem is, it can have a knock-on effect that can impact a lot of people financially and cause risk to lives. Nine people charged, almost a hundred offenses and untold how many fake trade qualification documents were created in that time. Now for those that purchased the documents and sidestepped actually being qualified for the job, they are committing fraud to get the job in the first place, not only does this open them up to criminal charges but also civil ones. Like, say when an entirely new building becomes a hazard. "Under a new disciplinary policy, any certifiers found to be corrupt or to have negligently signed off on a building which is unsafe or structurally unsound will be immediately kicked out of the industry." Keeping that in mind, and using the certificate we have as an example in the image above, someone would be qualified to do the following. 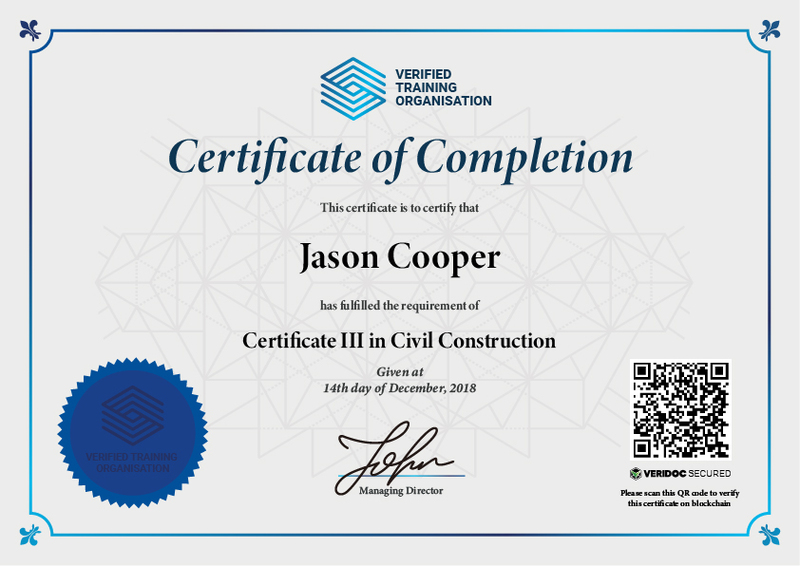 "The qualification applies to specialist occupations in bituminous surfacing, bridge construction and maintenance, pipe laying, road construction and maintenance, road marking, tunnel construction, timber bridge construction and maintenance, civil construction general and traffic management occupations. The individual may provide theoretical advice and support a team." And that's only one certificate. Do you want someone unqualified with no experience working on our bridges, roads, and tunnels? Would you want your building contractor, unqualified and working on your home where you and your family sleep? So what can be done about it? 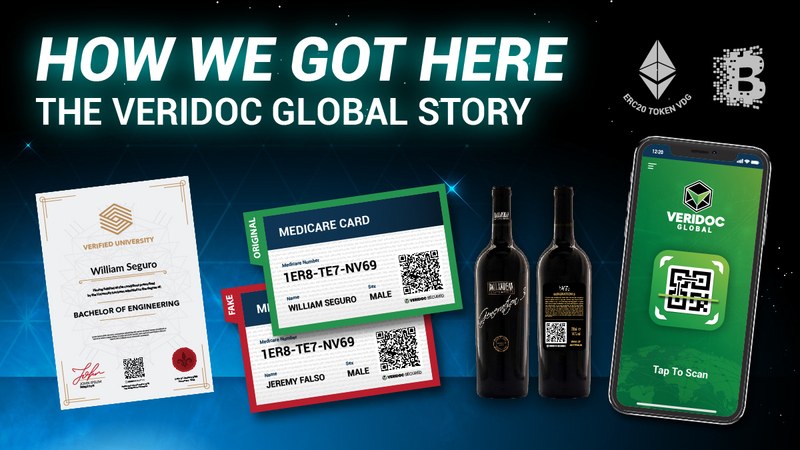 VeriDoc Global has developed a finished solution that involves embedding a QR code on almost any product with a unique digital hash inside the QR code. The hash holds a string of information that is then placed on the blockchain network for security, verification, and most important end-user validation. Using our free QR reading app on your smartphone, you can scan the QR code on the certificate and the app will show you the true document produced by the issuer. This allows you as the client to know the person in front of you is qualified for the job, immediately and for free. 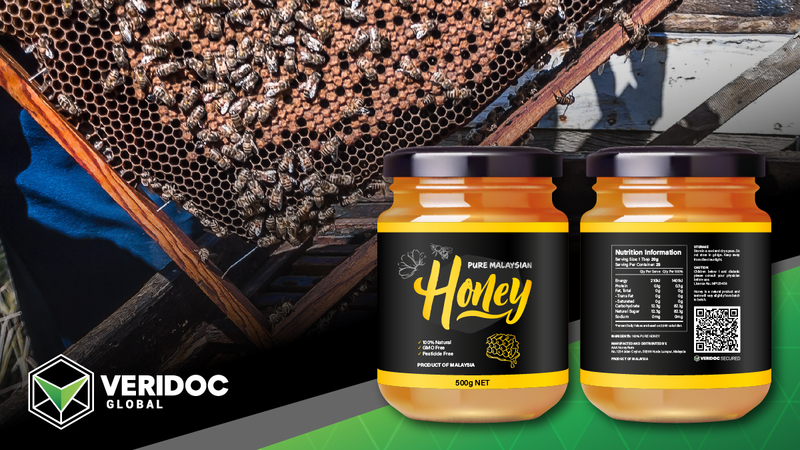 Behind the scenes, the verification protocol uses VeriDoc Global Secured QR codes, encryption algorithms, unique hash values, and the blockchain to check that the product is authentic. Test it out today. Scan the QR codes in the image to see the solution working for yourself. 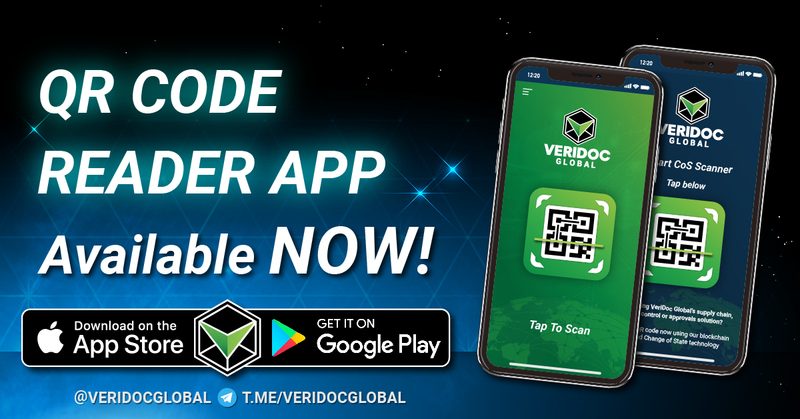 You can use any free QR reader on your smartphone or download the VeriDoc Global app from the Play or App store now. It’s Free, has no Ads and comes packed with Change of State Technology (CoS) and Smart Login. So can you tell which one is the fake? 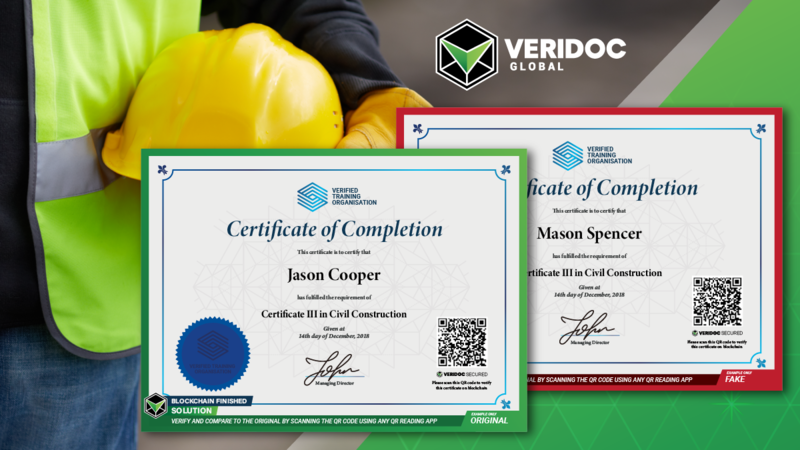 With VeriDoc Global you can, while making the world a better place one document at a time. 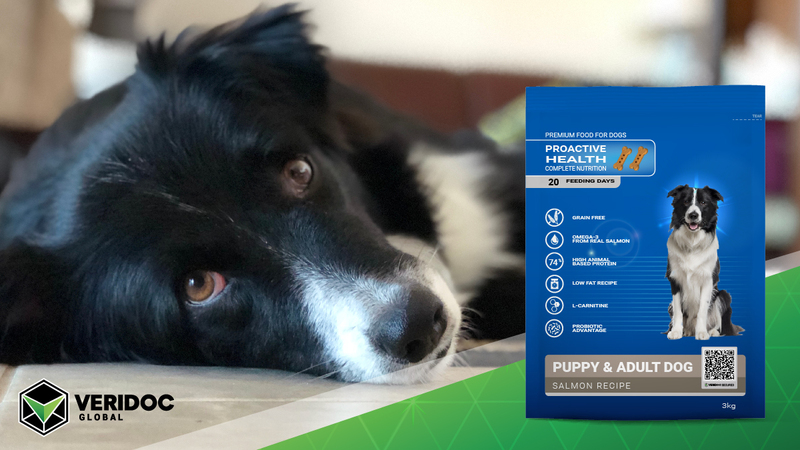 Pet Food Recalls And What Can Be Done To Protect Your Pet. 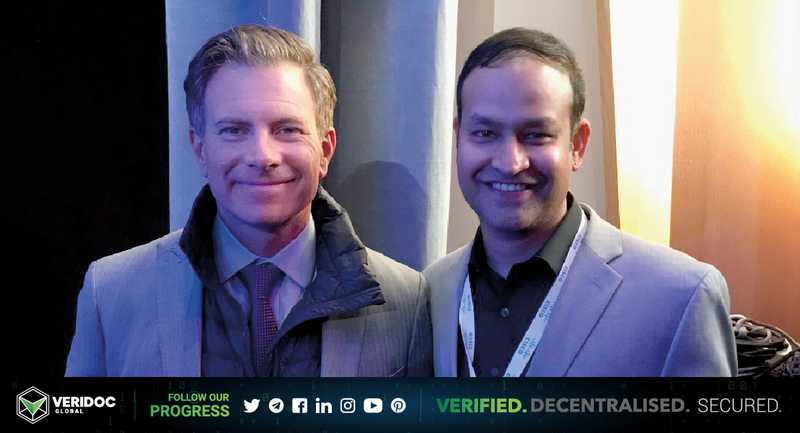 VeriDoc Global USA Director - Vik Reddy Met With Erik Bethel - Executive Director Of The World Bank. VeriDoc Global Announcement. - Change Of State (COS) is now available. 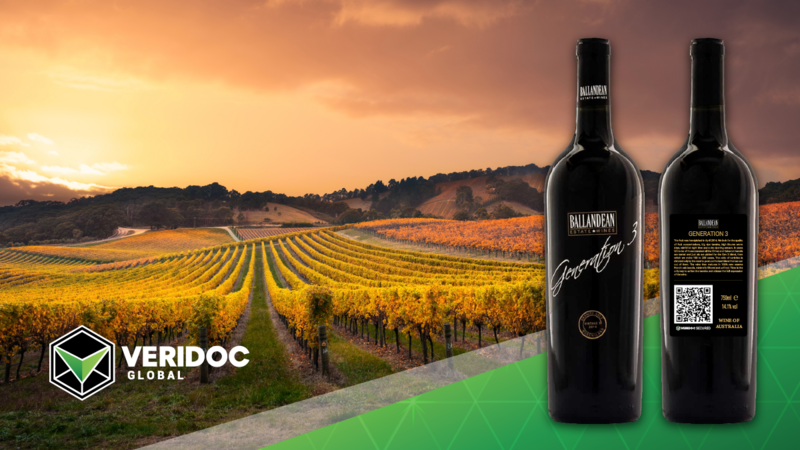 Fighting Wine Fraud And Using The Blockchain To Do It. 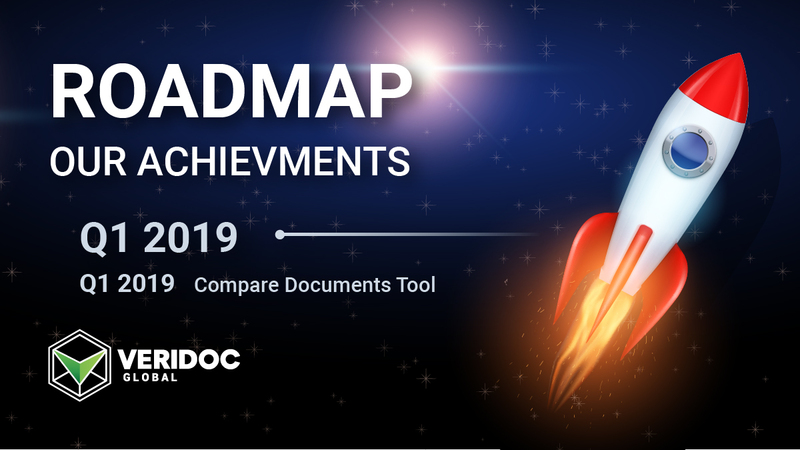 Roadmap Achievement - Compare Document Tool. 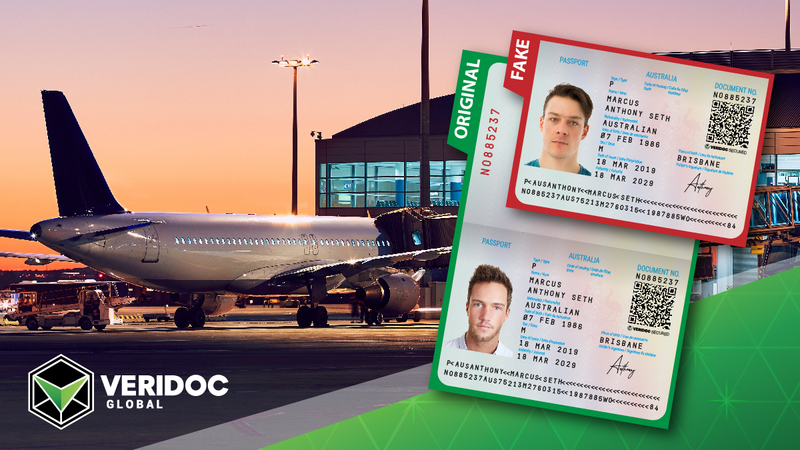 What Can Be Done About Passport Fraud Right Now? 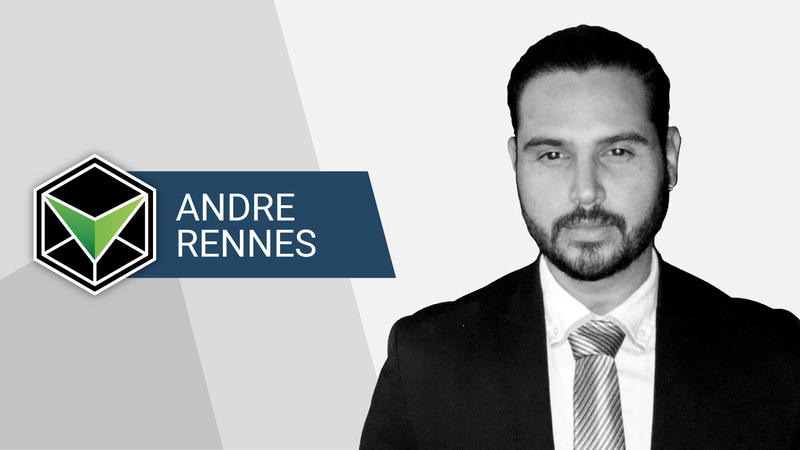 Andre Rennes Joins VeriDoc Global as Director. Verifying if your food is the real thing, why did it have to come to this?